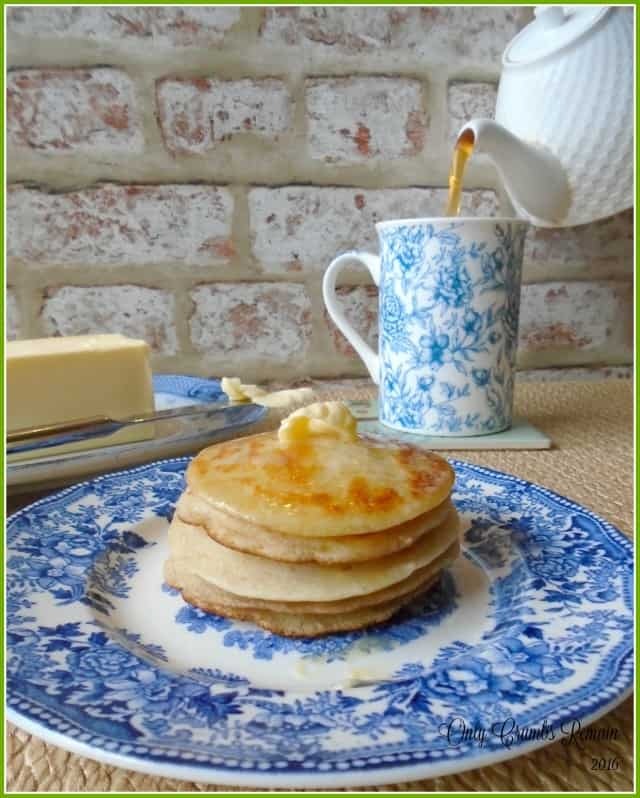 Using store cupboard ingredients, pikelets are a historic bake being a thinner version of the familiar crumpet. They are very easy to make resulting in a delicious breakfast or brunch! The occupation of ‘pikelet baker’ certainly pricked my curiosity, but to be honest I didn’t know what a pikelet was. So having looked it up in our trusted old fashioned Collins English Dictionary we learnt that they were ‘a thin kind of crumpet’. Many websites believe them to be of Welsh origin where it was known as ‘bara piglydd’, an 18th century phrase for ‘pitchy bread’, later anglicised to pikelet. 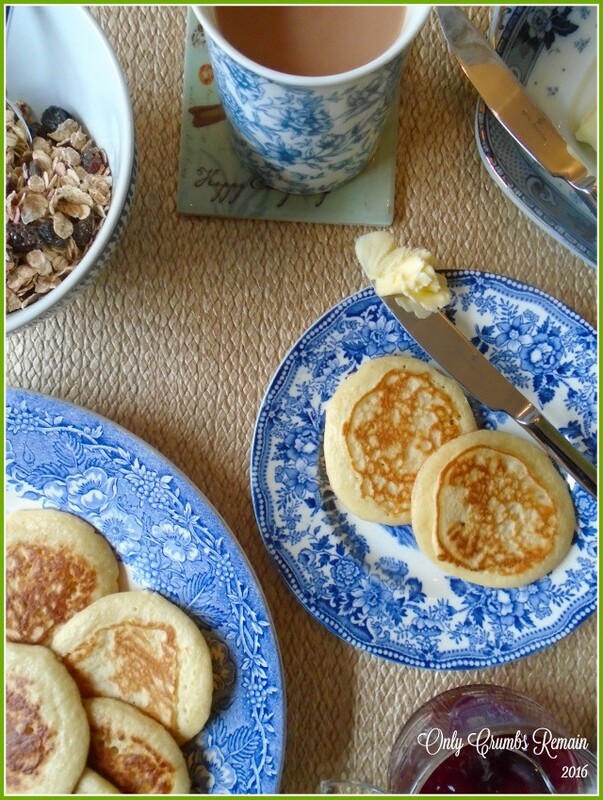 Like crumpets, pikelets are circular and are pitted with hollows allowing butter to melt into those hollows. The hollows are formed from the bubbles created by the yeast or other raising agents which quickly rise to the surface of the crumpet or pikelet as a result of the heat beneath. Unlike crumpets, pikelets are cooked on both sides, and I must admit that many of these hollows in our pikelets were lost once the upper surface of the pikelet was in contact with the frying pan. The more familiar crumpet sees the batter spooned into rings and cooked on a griddle or skillet (frying pan). However pikelets are cooked ‘free-style’ without the rings. The mixture is spooned onto the hot skillet and as such are referred to as ‘the poor man’s crumpet’, as there was need to purchase or make a metal ring. Never having made pikelets previously I searched for a recipe and to be honest that search left me none the wiser. Every recipe was different. Some included eggs, others didn’t; some used plain flour and others SR flour; some included melted butter and others didn’t. I guess this is what comes with historic bakes – they change and morph into what works for different regions and individual families. So not knowing what was right or wrong, I decided to make two different batches of pikelets! By jove, Mr E & I enjoyed a hearty breakfast that Sunday morning! It certainly set us up for a good winter’s walk! The only alteration I made to the recipes was to scale back the volume of mixture, making it a little more realistic for the two of us to eat. The first recipe (image below) is from Ruby Tandoh (a former GBBO contestants). It is a yeasted mixture made with plain flour but no egg or butter. The added liquid is a 50/50 ratio of milk and water. The mixture is beaten together and then set aside to allow the yeast to do its magic. Over the course of an hour or so hundreds of bubbles develop within the mixture which indicates that the batter is ready to be cooked and breakfast served! Now I must admit, although the mixture smelt good with the inclusion of the yeast, setting the batter aside for an hour wasn’t ideal for breakfast with rumbling tummies crying out to be fed. 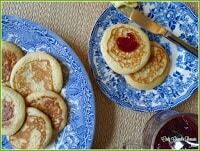 Once cooked, the hot pikelets were delicious, smothered in butter and jam! This was Mr E’s favourite. The second recipe (image below) is from The English Kitchen. This recipe is far quicker to pull together as there is no waiting time with this batter. It is made with SR flour, all milk, an egg and again no butter. The author of this recipe states for the pikelets to be served cold, which to be honest I found to be a little strange. I served them cold as guided and they were ‘OK’, but I have to admit that I scoffed a warm misshapen one as it left the frying pan and was overjoyed with the flavour. This was my favourite mixture, eaten warm of course. So should you try this recipe, please don’t allow them to go cold. Eat them fresh, they’re so much nicer that way! Have you ever made pikelets and, if so, what sort of mixture do you whip up? Time: hands on time 10 – 15 minutes; plus an hour or so resting time. 1. Make the batter. Combine the water and milk in a jug. Place the flour into the bowl with the yeast, sugar and salt (not allowing the salt to come into direct contact with the yeast). Gently stir together the dry ingredients. Make a well in the flour and pour in the lukewarm liquid. Use the balloon whisk to gradually combine the liquid with the flour by stirring the liquid in the bowl which will slowly pull the flour into the mixture. Mix to make a smooth batter. Beat vigorously. 2. Set aside. Cover the bowl with cling film or a plate and set aside at room temperature for around an hour until the mixture has almost doubled in size and is full of bubbles. 3. Prepare to cook. Stir the batter. Place a frying pan (or similar) onto a medium heat and allow to become warm. Drizzle in a small amount of oil / butter. Use a piece of kitchen paper to smear the oil around the pan, removing any excess as you would when making pancakes. 4. Cook. Use a tablespoon to place a circle of the mixture into the hot frying pan. The mixture should begin to bubble immediately creating a crumpet like texture. Cook for around 1 -2 minutes and once the upper surface is set flip the pikelet over with a spatula to cook the other side until golden. a) Ruby tells us to cook the first pikelet on its own, ‘sacrificial’ style as we would a pancake. This allows us to gauge if the mixture is of the correct thickness. If the bubbles don’t appear relatively straight away when cooking, it suggests the batter is a little too thick and the bubbles are struggling to break the surface of the batter. If this happens simply stir in a little more milk. b) You should be able to cook around 4 – 6 pikelets simultaneously once you have the correct thickness of batter, though this will depend upon the size of your frying pan. If cooking in batches, grease with a little more oil/butter before cooking the subsequent pikelets. Time: hands on time 10 – 15 minutes. 1. Make the batter. Sift the flour into the bowl with the sugar and salt. Gently stir together the dry ingredients. Make a well in the flour. Break the egg into a jug and lightly beat it with a fork to break it up. Add the milk to the egg and stir together. Pour the eggy-milk mixture into the well of the flour. Use the balloon whisk to gradually combine the liquid with the flour by stirring the liquid in the bowl which will slowly pull the flour into the mixture. Continue mixing until you have a smooth batter. Beat well. 2. Prepare to cook. Place a frying pan (or similar) onto a medium heat and allow to become warm. Add a small knob of butter. Allow to melt. Use a piece of kitchen paper to smear the melted butter around the pan, removing any excess as you would when making pancakes. 3. Cook. Use a tablespoon to place a circle of the mixture into the hot frying pan. The mixture will eventually create bubbles on the surface of the pikelet . Cook until bubbles appear on the surface and the bottom is lightly browned. The upper surface will be largely set at this point. Use a spatula to flip the pikelet over and cook the other side until golden. Enjoy with butter and jam! a) The English Kitchen strongly suggests serving these pikelets cold with butter and jam, however we found them to be far tastier eaten warm straight from the pan. b) When cooking this mixture, the bubbles took longer to appear than with the yeasted recipe above. c) You should be able to cook around 4 – 6 pikelets simultaneously depending upon the size of your frying pan. If cooking in batches, grease with a little more butter before cooking the subsequent pikelets. Ooh interesting post Angela. My grandmother's mother died in 1918 from the Spanish flu too. Only a few days / weeks after giving birth. My granny and her twin were split up with one being bought up by one aunt in the country and one by the other aunt in London. Sadly, We know very little of her parents, though there are some photos of a very handsome women. Gosh, it was tough back then. Haha, sounds like that'll be some extra brownie points for you then Kirsty 🙂 I prefer pikelets to crumpets too. Thankfully grandma and her sister were lucky given the situation and were kept out of the orphanage by being brought up by their mum's side of the family, so they were amongst their cousins in a large family house. It's so fascinating looking back into the family tree. I've been doing most of it through the aid of Ancestry. We've been to visit the lovely village where grandma and her sister lived for those short years with their parents. Historic and regional recipes are fascinating aren't they – just look at what mince pies (what we enjoy traditionally at Christmas Time) were traditionally made from! 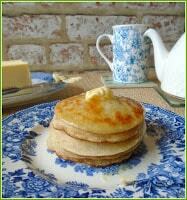 If you like crumpets Charlotte, you're bound to like pikelets. These pikelettes look so yummy..I'm hungry right now! I'll be tiring the second recipe, warm of course! Ooh, yes, definitely warm! I'd love to hear how you get on with them, hope you enjoy them as much as we did. They're fabulous pictures aren't they – I love how tangible they are. Pikelets are delicious aren't they, I'd love to hear how you get on with them if you give it a go. Thank you Sarah, I love those images – they really intrigue me. I'm determined to find out more about my great-grandfather (though it's proving to be somewhat difficult at the moment). My mum used to buy me these all the time when I was I child; they are sometime I've not had since. It never occurred to me that I could make them! It is fascinating Rebecca, I love coming across old recipes. oh yes, they have to be enjoyed to be enjoyed warm in my book. 🙂 Thank you Eb, I love doing my 'side-by-side posts', and yet I've not posted one since before Christmas (how did that happen!) 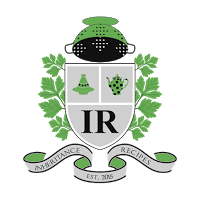 I presently have a couple of side-by-sides waiting in the wings but they won't be posted for a couple of weeks yet as I have a few things which NEED to be posted relatively soon. Having tasted cold pikelets, I can confirm that our hunch was right – they're waaay better warm. I love your suggestion of enjoying the yeasted ones (or even the quicker ones for that matter) as a teatime treat. I love those photos but because they're so old they are a tad more difficult to store. I'm keen to find out more about James' military career (how he achieved his rank and the stories behind the medals as well as the campaigns he went on etc) but I'm sadly struggling on that front as I don't have his army number and I've come across his surname being spelt differently in the census returns. Do give pikelets a go Mandy, they really yummy. They're fabulous photos aren't they. I love digging them out and just looking through them from time to time. I'd love to read about your pikelet recipe one day Sarah. The SR flour version I guess isn't traditional (I'd imagine the yeasted version being more traditional) but it's far quicker to make and tasty too if eaten warm.